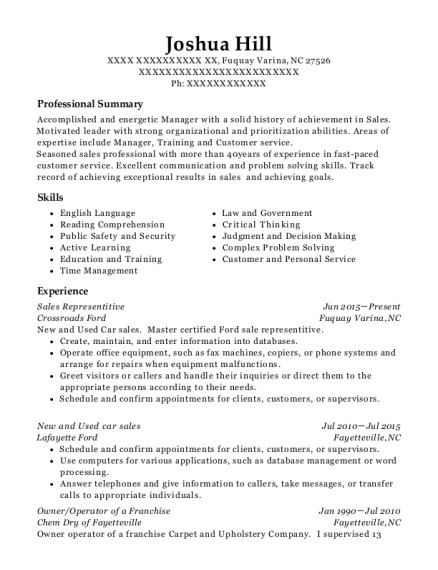 Goal-oriented Salesman dedicated to high levels of customer satisfaction and meeting aggressive achievement goals. Sharp and unconventional closer with specialized training in car sales and negotiation tactics. Find, select, demonstrate, and explain operation, and care of vehicles based on customer needs and desires. Present offers to management for approval. Review routing assignments and direct technician crew activities. Fulfil installation and service work orders as directed by Dish. Recommend or initiate personnel actions, such as quality assurance, disciplinary measures, and employee termination requests. Compile operational records, such as time and production records. Respond to and resolve customer complaints and mitigate damage or quality claims caused by technician oversight or negligence. Car Sales Representative Jun 1998 －Sep 2004 Taylor's Auto Max and Other Car Dealers Great Falls, MT Learn and implement proven sales practices as directed. 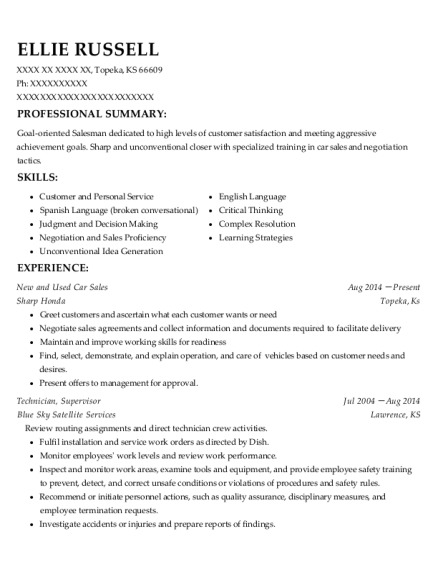 This is a resume for a New and Used Car Sales in Topeka, Kansas with experience working for such companies as Sharp Honda and Blue Sky Satellite Services. 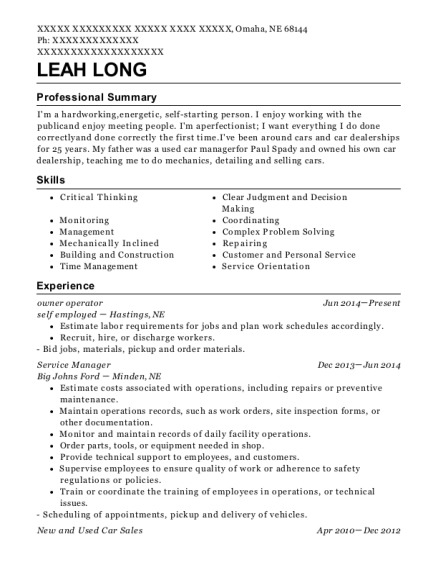 The grade for this resume is 0 and is one of hundreds of New and Used Car Sales resumes available on our site for free. 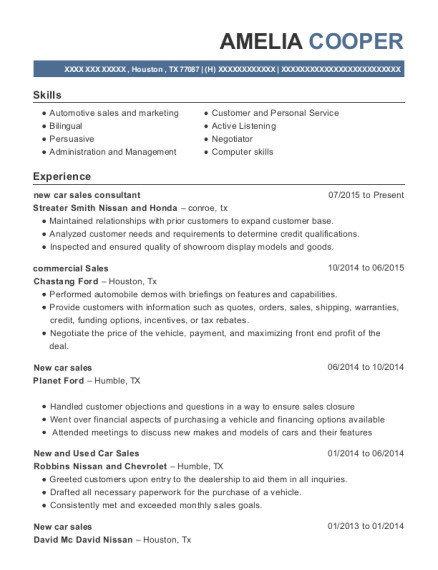 Use these resumes as templates to get help creating the best New and Used Car Sales resume.